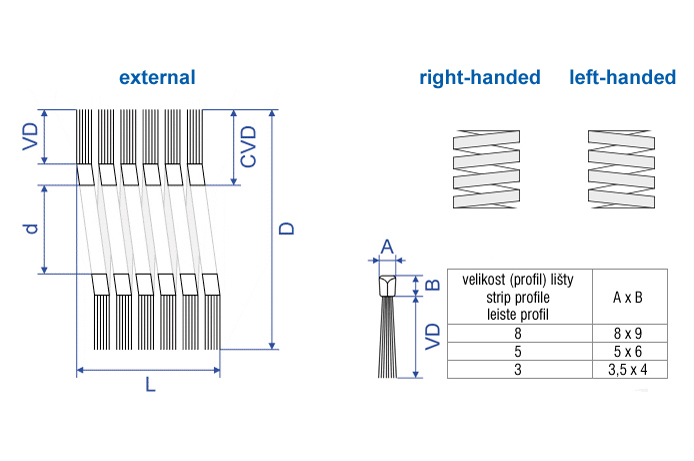 Spiral brushes are a special type of roller brushes where the maximum density of filament material has been achieved. 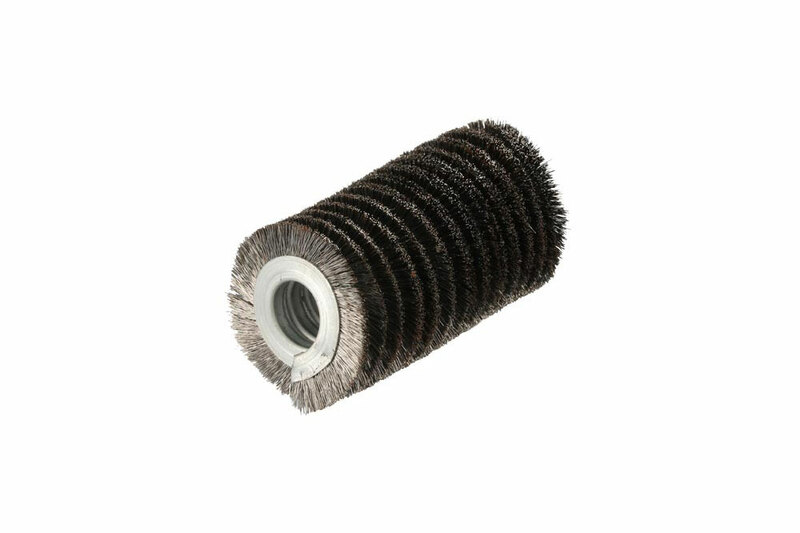 External spiral brushes are used for washing of flat glass or to wipe polygraphic rollers. 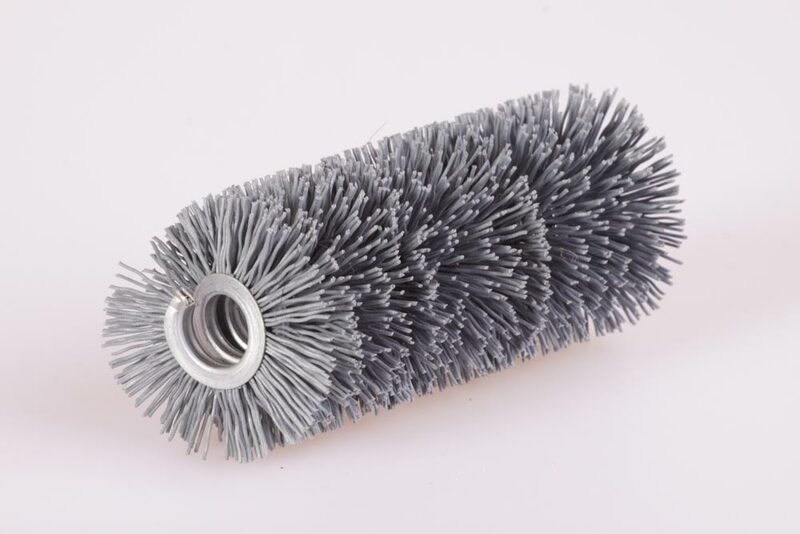 Spiral brushes are made from brush sealing strips. 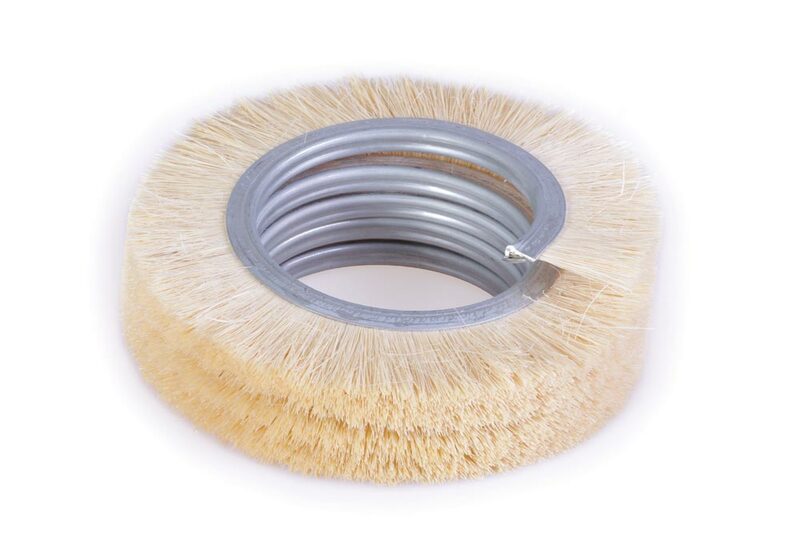 Bush sealing strips are produced by pressing the filament material into the metal strip. 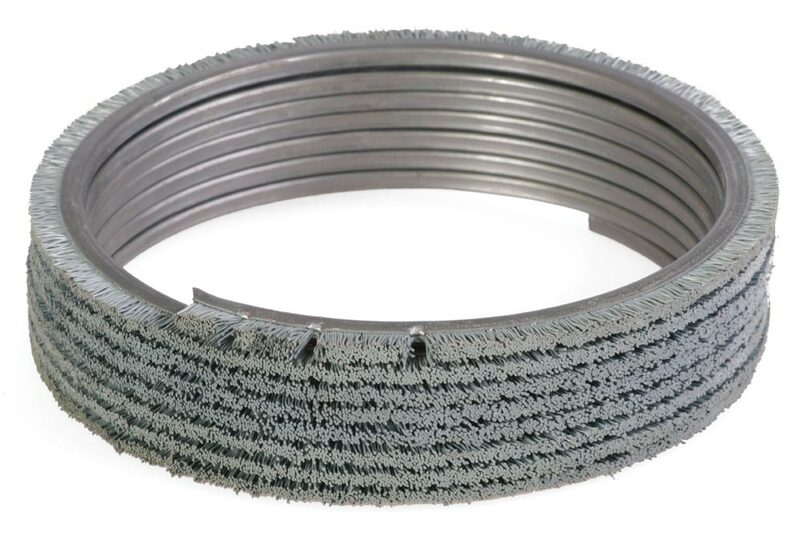 The filament material is folded in the strip and attached by a supporting wire. 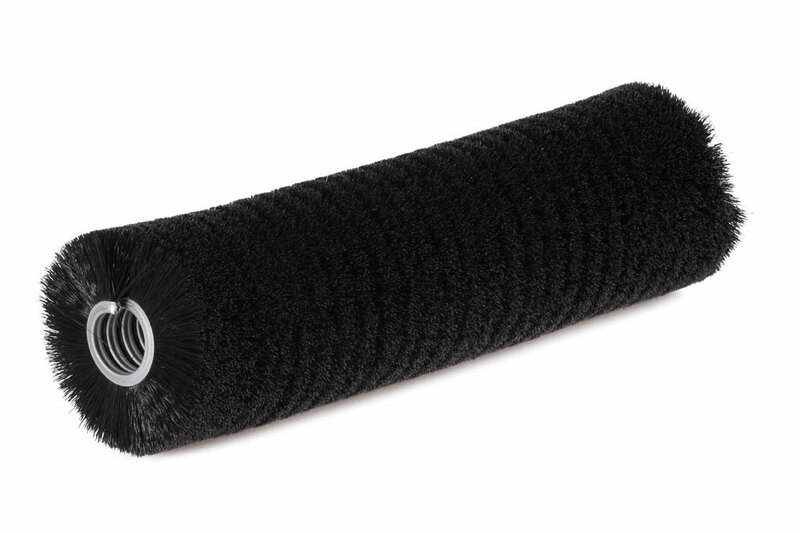 The maximum visible length of the fiber is 110mm. 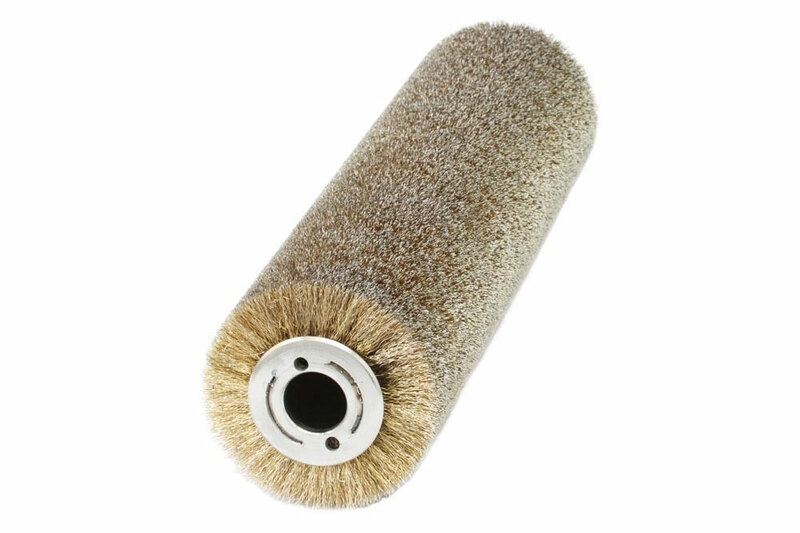 The external spiral brushes are spun with the fiber in the direction from the center of the brush to the desired inner diameter. 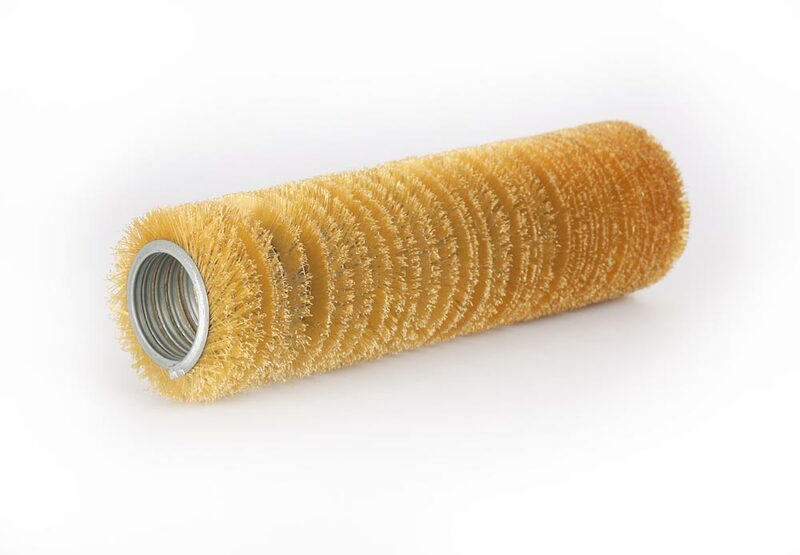 As part of the cooperation, we are able to mount external spiral brushes on provided shafts.